Couples, even after years of being together, still have conflicting views about certain issues, including retirement. Identifying the common disconnects among couples about retirement can help them create common goals to work toward. According to a study done by Fidelity Investments, 36 percent of couples disagree on where they will live during retirement. More so, 32 percent have opposing standpoints on whether or not they will work during retirement, and only 43 percent reported that they make investment decisions for retirement as a couple. As compared to previous years, women are becoming more proactive when it comes to making financial decisions about retirement. However, their participation is still considered low, according to the study. The percentage of women taking a key role in making long-term retirement decisions doubled from 19 percent from 2011, which is a remarkable change. More so, 24 percent of women respondents report that they are taking primary responsibility for daily financial decisions, which shows a 9 percent increase from 2011. However, only 2 in 10 women said that they have little to no participation in making daily decisions, even if 45 percent of these decisions are made jointly. Also, women are found to be more confident that their spouses will assume financial responsibility. Overall, women still show a low level of financial confidence, involvement in decision making, and engagement in investing. As you prepare for retirement as a couple, here are other tips that can help you. Work as a team. Avoid blaming each other. Instead of focusing on each other’s financial flaws and spending mistakes, work together in correcting them and making your own share of sacrifices in order to attain your retirement goals. Constant communication is the key. All the while you may think that you and your partner have the same outlook for retirement only to find out that you have opposing views and expectations. 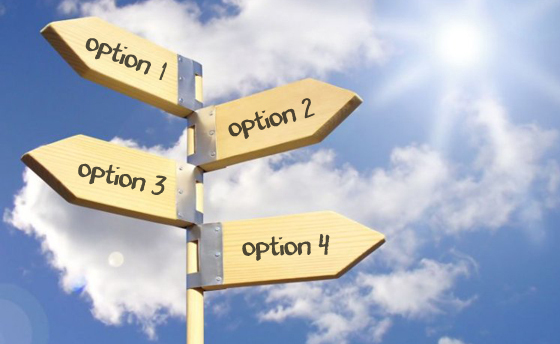 Once you discuss your options, you will be able to figure these things out, find ways to work on your retirement differences, and eventually, reach a middle ground. That way, you have a clearer focus and more specific goals that you can work on achieving together. Have a retirement checklist. Prior to making the decision of when you will retire, make sure that you have important areas covered such as the retirement income that will sustain your lifestyle during these years and contingencies such as long-term care and health conditions. Although television has often touched on caregiving through individual characters, the British television comedy-drama “Derek” has caregiving as its focus and is available to U.S. viewers via Netflix. The series is set in a nursing home and focuses on the caregiver at the home with Ricky Gervais playing as the 49-year-old Derek Noakes, a nursing home caregiver at Broadhill Retirement Home for the elderly who has worked there for three years. 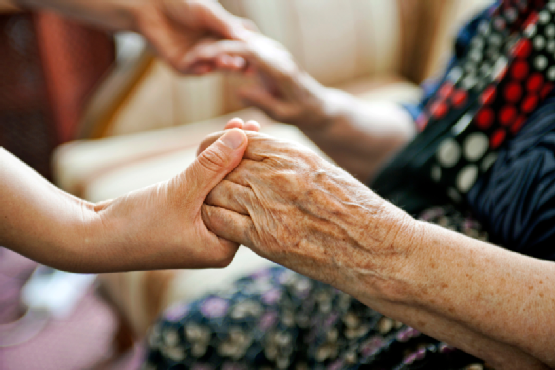 Although it dwells in a fictional setting, the problems and scenarios are easy to relate with since most are based on real-life situations such as managing residents, health care issues, dealing with physical, mental, and emotional issues of the residents, raising money for the nursing home, and passing away. Last fall, Netflix introduced “Derek” to subscribers and it stars Gervais (The Invention of Lying, The Office [UK], The Ricky Gervais Show) who is also the series’ creator, writer, and director and first aired in the UK on April 12,2012. Similar with other works of Ricky Gervais, Derek is filmed in a “mockumentary” style. The show stars, and was written and directed by, Ricky Gervais. The series also features Karl Pilkington (The Ricky Gervais Show, An Idiot Abroad, Extras) as Dougie, the caretaker at Broadhill, Kerry Godliman (Spoons, Extras, Life’s Too Short) as Hannah, an employee of Braodhill for 15 years, and David Earl (Extras, Cemetery Junction) as Kev, an unemployed person who lives with Dougie and often hangs around Broadhill. The show takes place in a simple nursing home in most episodes, surrounded by the characters that hang out at the facility minding their own lives. These characters vary from typically aged to otherwise different-from-the-norm and are composed of residents, repairmen, caretakers, other caregivers, or a random, homeless people. The series featured other settings to show how the characters interacted with other people at stores, bars, and at the seaside. The character “Derek” is based on one of many characters made by Gervais, who also made an appearance in the stand-up show “Rubbernecker” at the Edinburgh Fringe Festival in 2001. Gervais’s character, Derek, can be noticed that he would often go beyond his work’s regular tasks and job description so he can help the residents that he cares for. The character could be described to be suffering from somewhat, lacking in some mental faculty. However, Derek’s perky, odd, and shy personality is overshadowed by his gentle, truthful, and courageous spirit. His hobbies include watching reality television shows and game shows. He shows that he has interest in celebrity figures, fame in general, any YouTube related subjects, and most of all, his passion about animals. Derek is tender, always active in giving help, unselfish, and always has good intentions. His noticeable childlike naivety and lack for show of intelligence makes him vulnerable. He is often ridiculed, ostracized, and marginalized by mainstream society due to his social awkwardness, physical appearance, and unrefined expression of thoughts. In the pilot, Derek is found to be fond of Joan, a resident at Broadhill. He often talks about how he learned many things from Joan and has taken the message “It is more important to be kind than to be clever or good-looking.” to heart. During the pilot, Joan dies and it leaves Derek in pieces. Derek often talks about how Joan taught him things he never even learned at home. This was mostly because he and his mother were left by his father when he was still a baby, and his mother still loved his father. He also often stated that Derek is his favorite character, even more than “David Brent” (The Office) and “Andy Millman” (Extras). Gervais added that he enjoyed playing Brent and Millman, but he has a genuine love for Derek as a person. The series showcases what goes on in a retirement home including the workers and residents. It also shows the problems encountered by nursing home employees and how they deal with it. The series has received mixed reviews from those who find the show entertaining or those who find it offensive. Some critics defend the show and even Garvais. It’s best to watch the show first prior to looking into what critics said about it. Derek as a character may seem unrealistic but he makes the audience realize the hard truth about how we are treating elders and how we should be treating them. Jack Seale said in Radio Times that Derek, “…is un-cynically presented as a hero who is, in Gervais’s words, ‘better than us’ because he lacks ego and guile and merely wants to be nice. Those seeking to take offense at Gervais’s portrayal of Derek will have to look hard”. Other critics find Derek as unfunny and full of cheap situations that setup its audience. Derek reminds us how we should hold on to our ideals when we were young and how far kindness can go. Society has put too much emphasis on improving intelligence and physical appearance but less on how we should treat each other. Audience need to see beyond Gervais and focus on the character, Derek and how he interacts with the people in the show and how he sees the world differently. If you’re into drama-comedies, you may want to check out Derek. If you’re not into the mentally challenged, socially awkward, and elder related issues, you may not like this show. On average, people who buy long-term care (LTC) insurance pay more than $2,000 per year. A married couple might pay twice that amount. Some people are reluctant to pay that much, year after year. If they never need long-term care, they’ll get no benefit from spending those thousands of dollars. One solution is to buy a Alternative Health Plans Not Skimming Off the Healthy A recent report finds no support for the contention that alternative health insurance plan designs with “consumer-driven” or “high-deductible” features skim off relatively healthy enrollees from the general eligible population. The report by the Employee Benefit Research Institute, involving health plans in general, underscores assessments by the Office of Personnel Management regarding the Federal Employees Health Benefits program. When such plans were introduced into the FEHB during the Bush administration, organizations representing retirees, especially, expressed fear that those designs would be especially attractive to younger and/or relatively healthy persons who expect to use relatively little health care. Their concern was that such persons would concentrate in those plan options, leaving other FEHB enrollees with a less desirable risk pool and thus higher premiums and/or lower levels of coverage. In the time since then, however, OPM has consistently said that there has been no such “adverse selection” effect on the FEHB. A GAO report supported that position, concluding that enrollees in such plans tend to be higher-income persons drawn to them by the tax advantages, not healthier people drawn by the potential for savings on premiums. The EBRI report found that persons age 21-34 with the choice of such plans actually are less likely to enroll in them. In fact, it said, the highest rates of enrollments are among older persons. As with the GAO report, the study found a correlation with the desire for tax saving among those at higher earnings levels and thus higher tax rates. 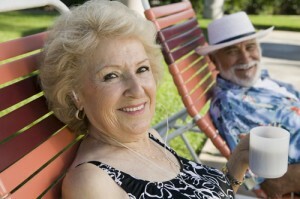 Visit this website for more information about long-term care insurance and retirement planning. In my opinion, the best time to talk to older adults or your parents is during Thanksgiving. Take advantage of this festive season to spend time with your family and discuss about important things such as their future long term care needs. For me this is the best time because everyone is present and therefore they can voice out their opinions regarding this pressing issue. Adult children shouldn’t be afraid to initiate the talk because it’s more difficult to face this predicament without a sound strategy. Here’s how you can start initiating the talk about long term care: http://www.ltcoptions.com/thanksgiving-best-time-talk-long-term-care-family/. I watched my grandfather have to take care of my grandmother in the 1960s and my mother care for my father in the 1980s while they suffered from HD, before they died. A few years later, my brother and oldest sister were stricken with the same disease. After several years of caring for them, by my brother and sister-in-laws, they also succumbed to Huntingdon’s disease. The advice the Joan Lunden gives in this interview is sound advice for all Baby Boomers to consider.